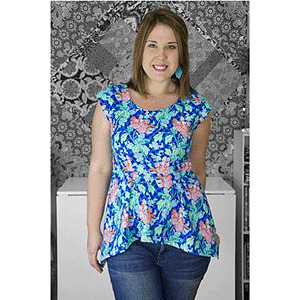 Sweeter than a tall glass of freshly squeezed lemonade on a balmy summer’s night, the Sweet Summertime Peplum and Dress features two length variations to give you an array of options. 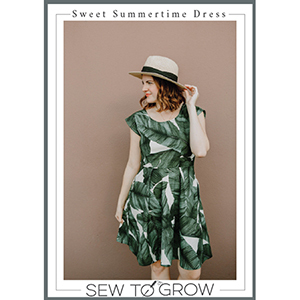 With no zippers, a fitted waist, and cap sleeves this pattern is sure to be a wardrobe staple all season long! 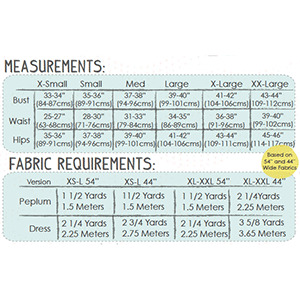 Suggested fabrics are cotton jersey, cotton lycra, lightweight jersey rayon or voille, peach skin, and rayon challis.